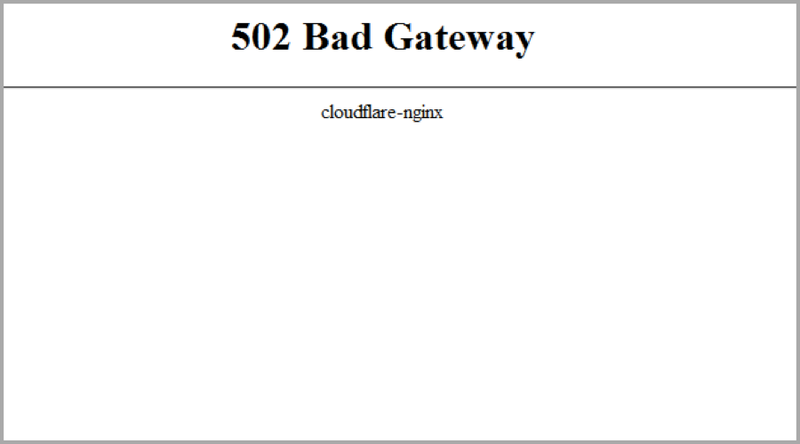 Are you facing the 502 error Bad Gateway? In this article, we will discuss everything you need to know about the 502 Bad Gateway error. Read on to know why you see this error and how you can fix it. The HyperText Transfer Protocol (HTTP) 502 Bad Gateway error usually comes from the server end and doesn’t have anything do with your computer locally. This error states there has been an inadequate response from the other server. You can see this error on any device, browser and operating system. This error’s page can be modified by every website, in which case you will see a custom error page instead of the default error page above. There are different ways in which you might see 502 errors. Let’s have a look at the various messages that you might face due to 502 error. It is an error that you might see because the server was not able to provide a valid response to the request. There are several other reasons that might lead to a 502 error. Here are the most common reasons. One of the reasons you might experience this error is that the server is not working properly. This means the server is not accessible; there can be many explanations for this, like, either the server is down or there is a connectivity problem or there might be a very high amount of traffic on the server. Another reason for seeing 502 Bad Gateway error is that domain is not determining the right IP address. This usually occurs due to incorrect DNS records being set at the Domain hosting level. In case you have the correct DNS records set, you also have to keep in mind that changes in DNS can take time to propagate globally. This relies on various factors including time to live or TTL. The firewall is used to block the transmission between the servers. It is another common reason to face the 502 error. There is the possibility that your WordPress security plugins might block the communication between the servers or can even block your local or ISP IP. To rule this out, you can try accessing the site from a different Internet connection. Moreover, few DDOS protection systems are over-sensitive that start blocking the requests from servers. You might experience a 502 error if the server has completely failed. It can be due to a system crash or sometimes the server is taken offline for maintenance or similar reasons. This can also be because the content of the server might be violating the server provider’s terms and conditions. Sometimes, some browser extensions can also lead to errors regarding while rendering the website, particularly AdBlock extensions. Apart from this there might be rare cases that might cause the error due to the browser version being outdated. There are numerous things that you can try to resolve this problem. Mostly, the 502 errors are the result of bugs in the PHP or the Server configuration or network error among servers. There is nothing wrong with your computer or your internet connectivity. Nonetheless, in some cases, there might be a problem at your end with the browser or your ISP or local IP might be blocked as mentioned earlier above. With these fixes, you can try and resolve the 502 error. When experiencing a 502 error, there are chances that the server of the website might be overloaded with a higher amount of traffic than it can handle. If this is the case, you can try to remove this error by refreshing the page. By pressing Ctrl + R or F5 on your keyboard, you reload your page. This error means there is a networking error that is beyond your control, so it can be a temporary error while the server is getting the large amount of traffic or the server could be under a DDOS attack. By trying again in some while, you might not see this error. Another way to fix this error is by starting a new Private or Incognito session in your browser. All you have to do is just close the existing tabs and open a new Private or Incognito window. If you experienced this error because of an issue on your browser, then by starting your browser again in the Private mode should resolve the issue. There is a chance that the corrupted files stored on your browser might be causing 502 Bad Gateway error. So, if you clear the cache of your browser, you might resolve this error. Moreover, you should remove the cookies from your browser. It can also help in resolving this error. You can try to use another browser such as Chrome, Safari, Firefox, and Internet Explorer. If you don’t see this error when you change your browser, this indicates that the problem was in the browser. You can even reinstall the browser to check if this resolves the problem. Another solution for this error is by checking your domains’s DNS records. Sometimes the Bad Gateway error is caused by problems associated with DNS records. If you have not changed the DNS records, then you can also check if the IP in the records is set correctly and there is no typo there. If you are a developer or a server manager and you are facing this error, there are chances that you might be facing this error because of other factors. You can try these solutions for eliminating the problem. You can determine whether your server is reachable or not by conducting a trace-route or ping test on the server IP. Another way to resolve this error is by checking if your fully qualified domain name is resolving properly or not, as mentioned above. You can use the DNS test tool for this purpose. For WordPress sites, you can temporarily rename the wp-content/plugins folder to rule out any error due to any plugin on the site. 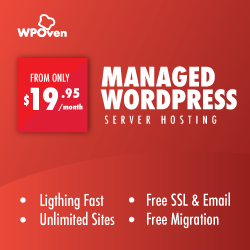 In case the issue is not due to the plugins, you can also check for the theme by downloading the default WordPress theme and switching over to that. In case the site loads fine after activating the default theme, then the issue might be due to your theme. It is advised to check the firewall logs for an unusual blocks. Another reason could be that the server is being targeted with a DDOS attack. In such cases you may use services like Fail2ban to try and block the attacking IPs or you use CDN proiders like CloudFlare, to mitigiate any DDOS attacks on the server. Therefore, you should not panic if you see 502 error Bad Gateway. It is an error that is related to a communication problem between the servers. By trying these solutions, you can get rid of this problem. In case this error continues for days, you can record the time and the version of your browser for submit a report to your hosting provider.